My fondest memories of baking were watching my Nan make her famous Cherry and Almond cake. In fact, I can distinctly remember the delightful aroma that would drift throughout her cottage. Kiwi Chef/Baker, Jo Seagar acknowledges that "cooking is a learnt skill not an instinctive art". It is those times watching our mother, grandmother or aunt baking that we will have learnt important skills for our own success. 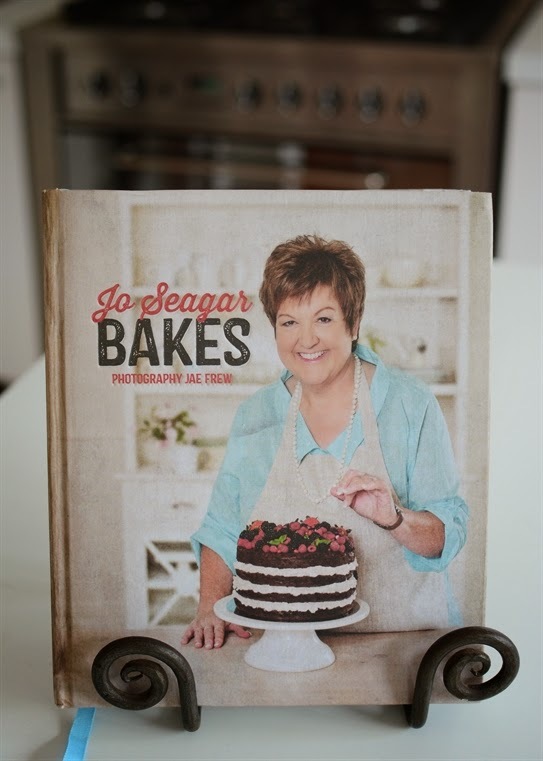 However, what if we didn't have that opportunity, Jo has pondered on this and decided it was time to share her knowledge and the knowledge of those who have gone before her to help make us successful bakers through her new book, Jo Seagar Bakes. Originally trained as a cordon bleu chef in Paris and London, these days Jo Seagar runs Seagar's, a cafe, cook school and kitchen shop in Oxford. From the moment I opened her latest book, Jo Seagar Bakes, I was smitten. Published by Random House (RRP NZ$55), this lovely book has a charming vintage feel. Old fashioned bake-ware and utensils photographed on faded and weathered textures feature beside the recipe images. 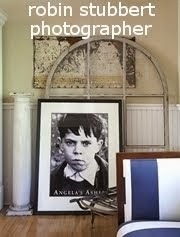 The photography by Jae Frew, cleverly depicts a vintage look that make this book a special keepsake. Jo Seagar writes with a definite passion for baking, I love how she included little quotes and humorous comments throughout her book. Packed with 293 pages of delicious - Cakes, muffins, slices, brownies and biscuit (cookie) recipes. Old fashioned fare from family and friends and some more recent adaptations such as Jo's delicious Feijoa Cake or Mars Bar Bubble Slice - The latter I imagine a great hit with the kids. Although most of Jo's recipes are traditional baking, Jo is aware of those with allergies and has included an assortment of gluten free, flour-less and egg and dairy free recipes. I wanted to put a couple of Jo's recipes to the test and decided on her Peanut Butter Cookies (GF) and Coffee Lovers' Baby Cakes. Jo guides you easily through the steps, shortcuts and techniques of her recipes, my results were perfect and both were a hit with family and friends. Preheat the oven to 170 degrees Celsius (338 Fahrenheit). Line a standard muffin tray with paper cases. Beat the butter and caster sugar together until pale and fluffy. Add the eggs and essence, then mix in the flour. Spoon the mixture into the paper cases. Bake for 15-18 minutes, until firm when gently pressed in the middle. Cool on a wire rack. Remove from cases when cold and split in half with a serrated knife. To make the icing, beat the butter and icing sugar together until well combined. Add the essence and mix well. Sandwich the tops and bottoms of each cake together with icing and pipe each top decoratively. Using a potato peeler, slice curls of chocolate to garnish each little cake. Note: I used chocolate shards instead of the suggested curls and also popped a flower on top of some of them for added prettiness. Place all the ingredients into a bowl and mix well. Place teaspoonfuls of mixture onto the prepared tray, leaving room for spreading. Flatten each with a wet fork. Bake for 15-20 mins or until light golden brown. Cook on a wire rack and store in an airtight container for up to 10 days. I am keen to try out more of Jo's recipes, especially her egg free, Seagars at Oxford Christmas Cake. Jo Seagar Bakes, is a beautiful book with a vintage feel, full of simple delicious baking recipes and tips and tricks. It is the perfect Christmas gift for yourself, family or friends, a keepsake you most definitely won't want to part with and tried and true recipes that will be used again and again. Note: Both recipes in this post are reproduced with prior permission from Random House Publishers. 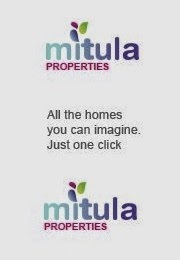 ..wow! those look fantastic! i will show my daughter, Nyla, who is always looking for new things to make gluten free~ lovely photos!